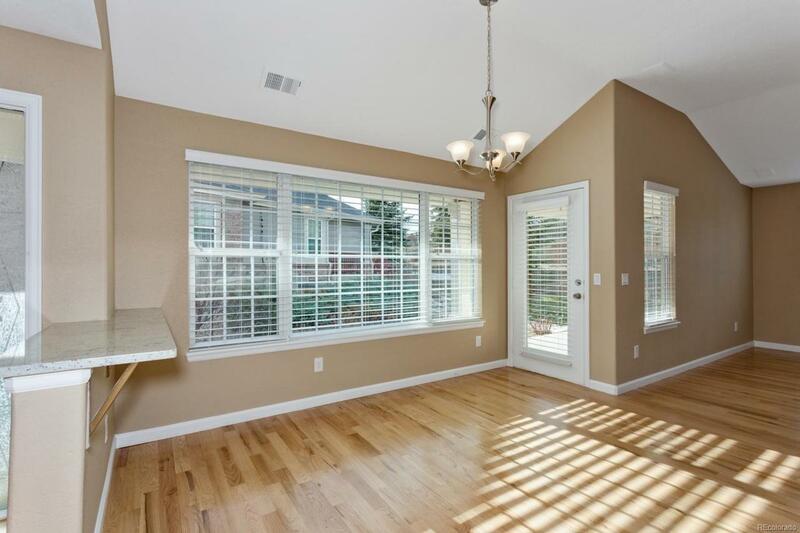 Fabulous renovated paired townhouse with open floor plan and lots of natural sunlight, located on a cul-de-sac at Heritage Eagle Bend 55+ gated golf community. 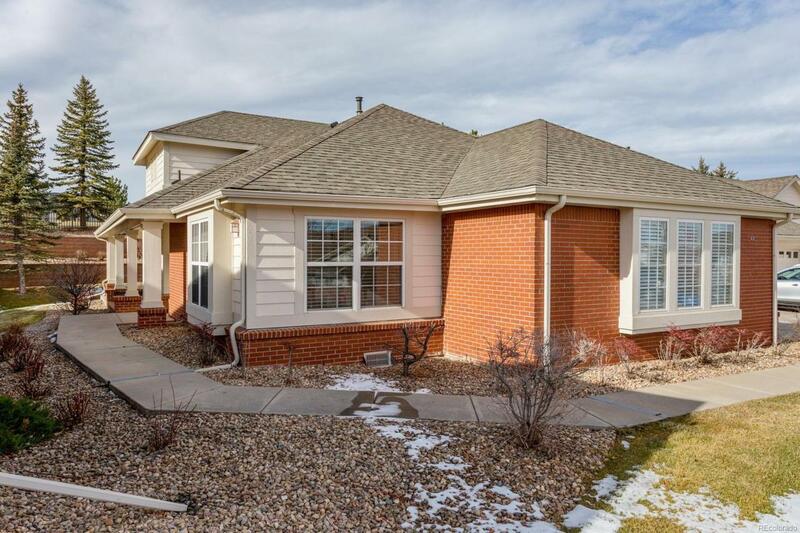 This beautiful 2 BED/2 BATH home is move in ready with New hardwood floors, carpet, tile, paint, blinds, granite counters and stainless appliances. 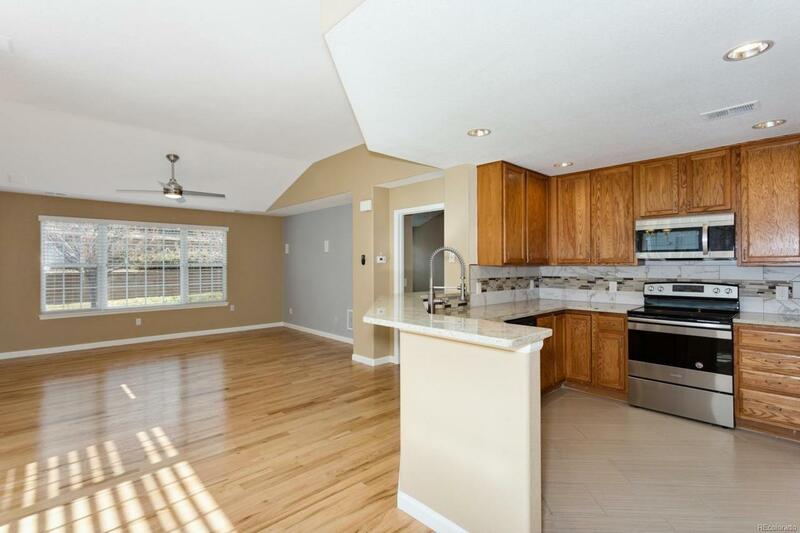 Master Bedroom includes ceiling fan, full bath with large walk- in closet. Oversized garage can hold 2 cars and a golf cart. Incredible clubhouse offers Restaurant, Indoor/Outdoor Pools, Fitness and so much more. 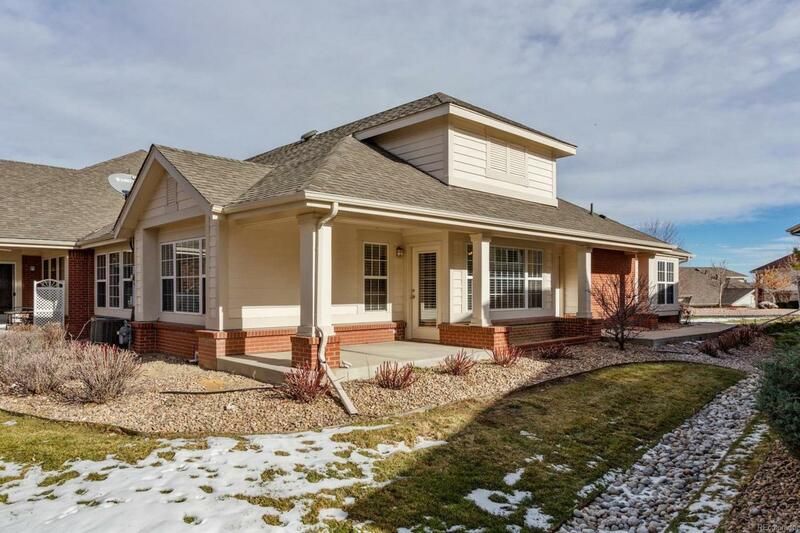 Easy access to E-470, Southlands Shopping and DIA.